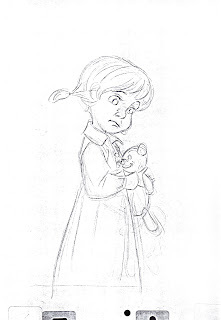 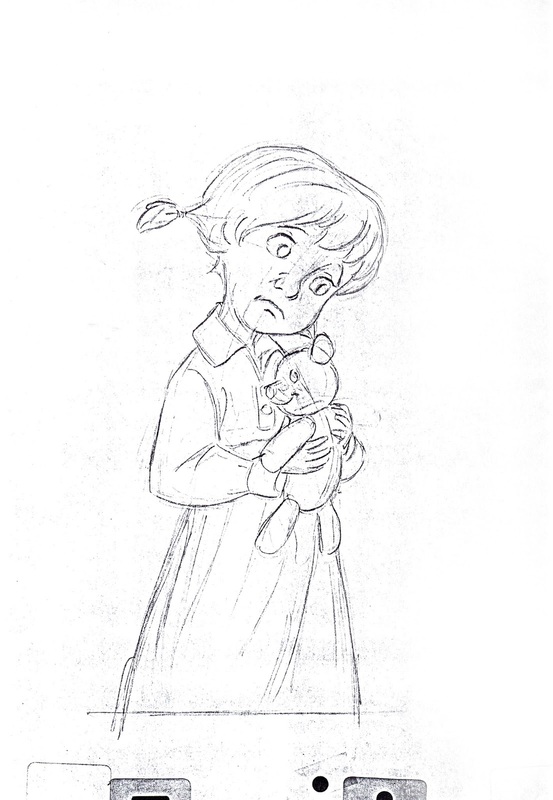 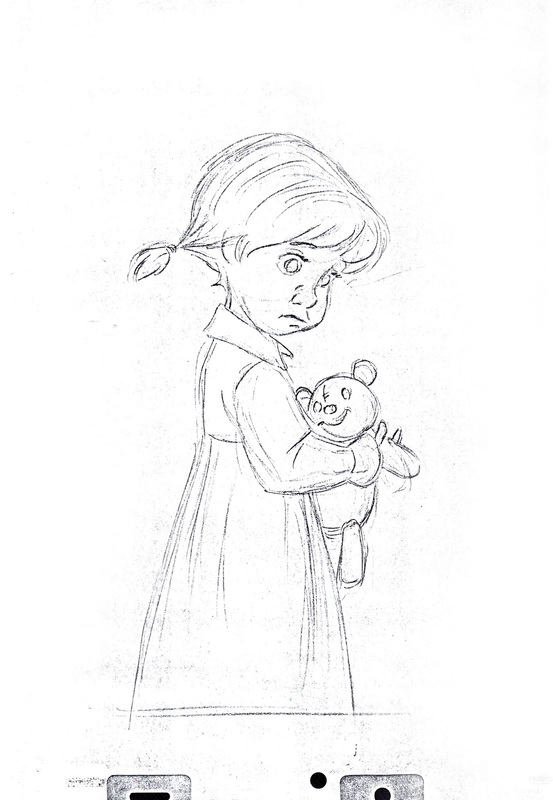 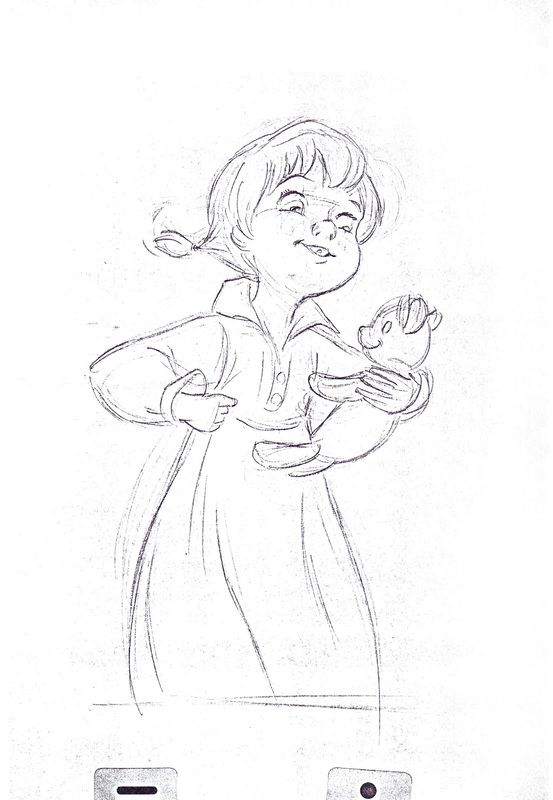 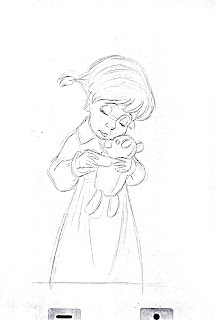 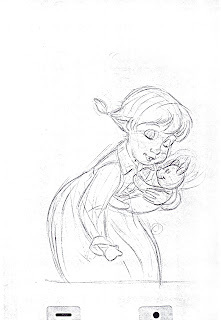 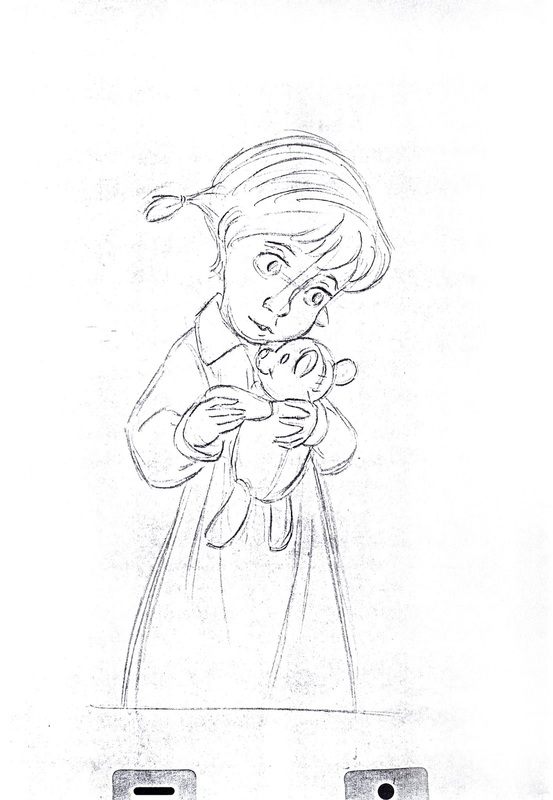 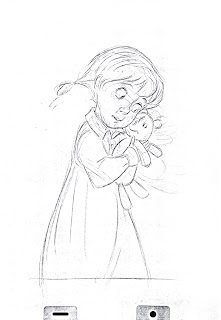 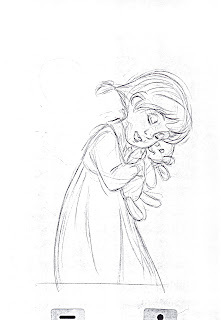 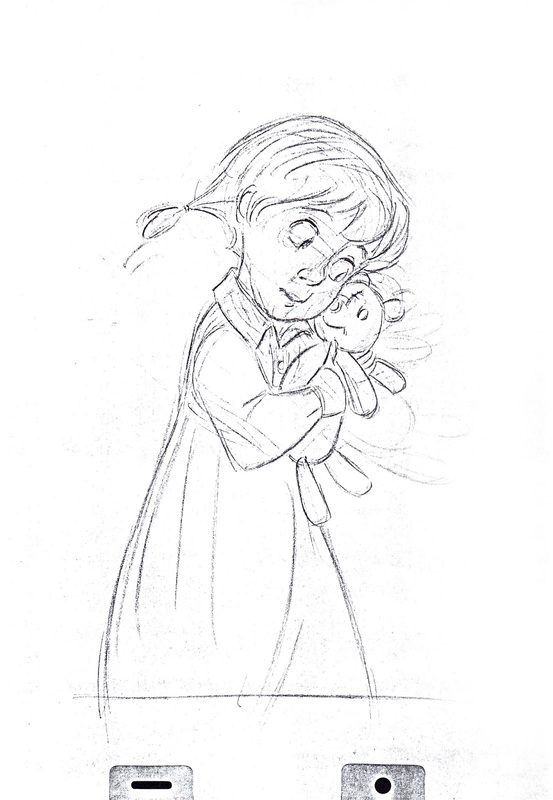 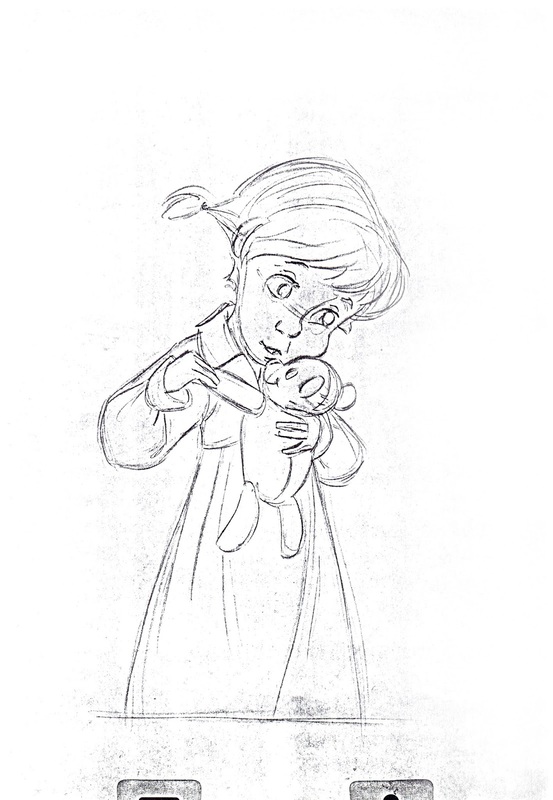 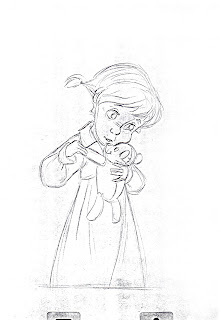 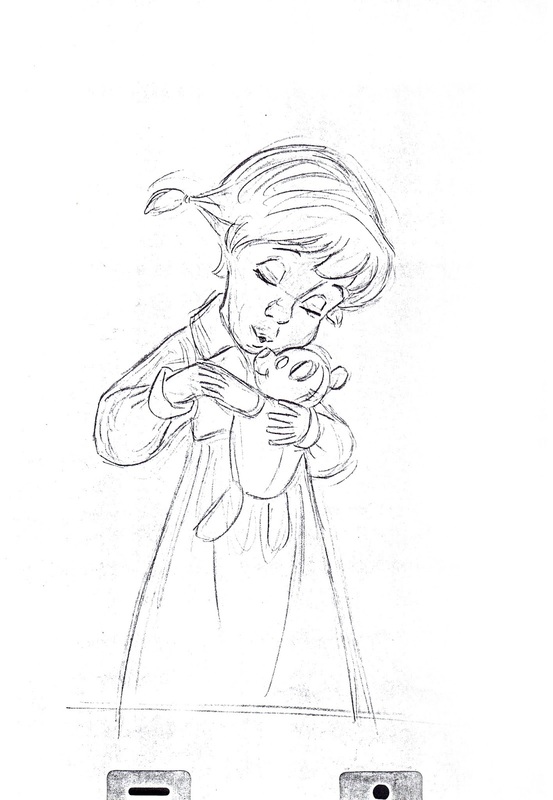 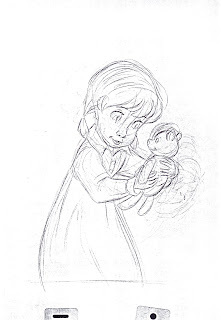 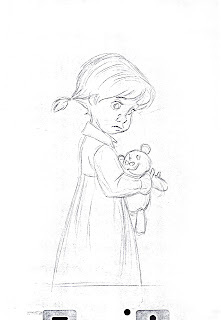 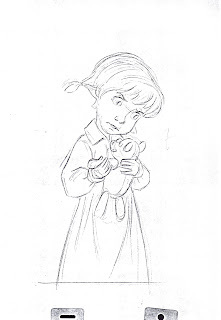 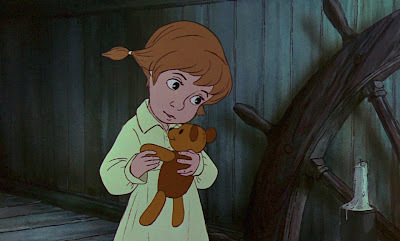 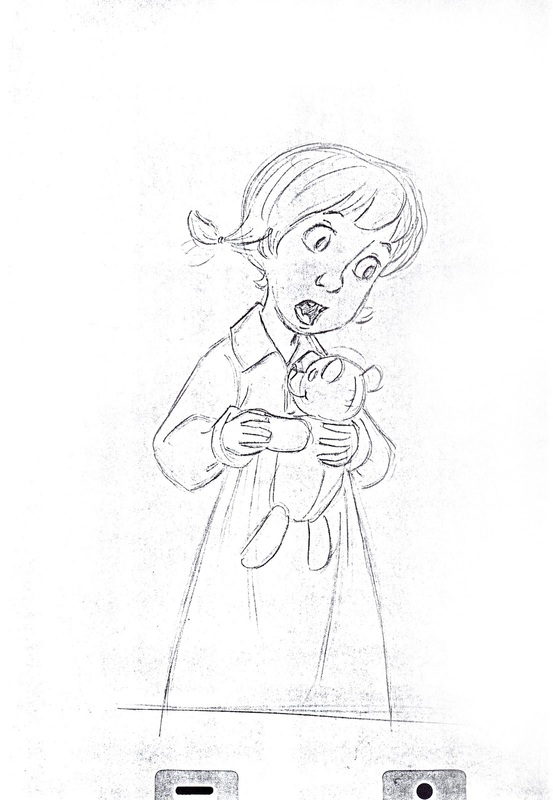 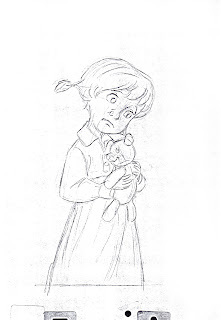 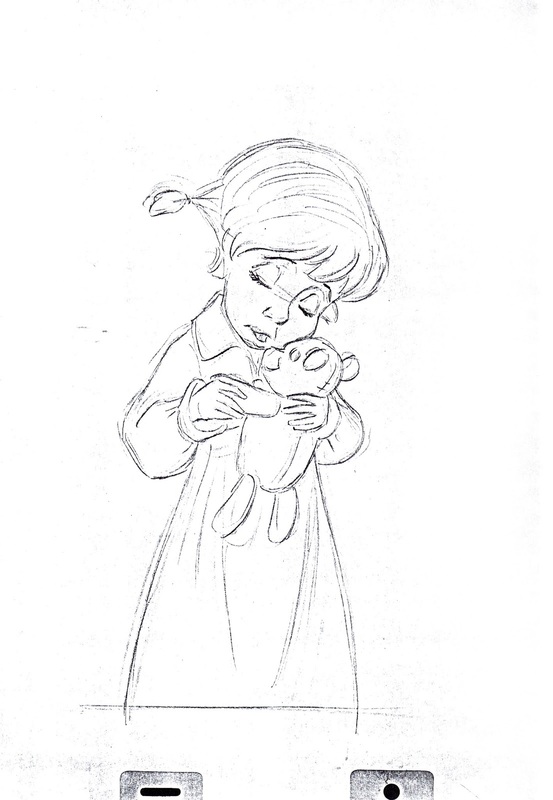 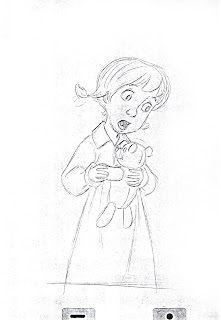 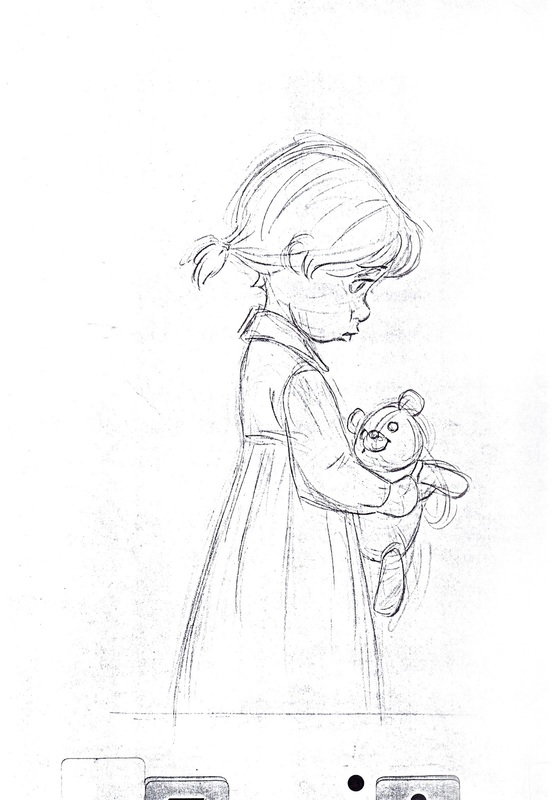 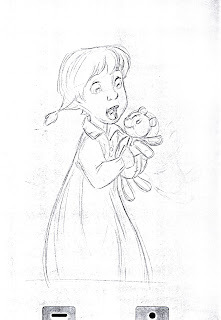 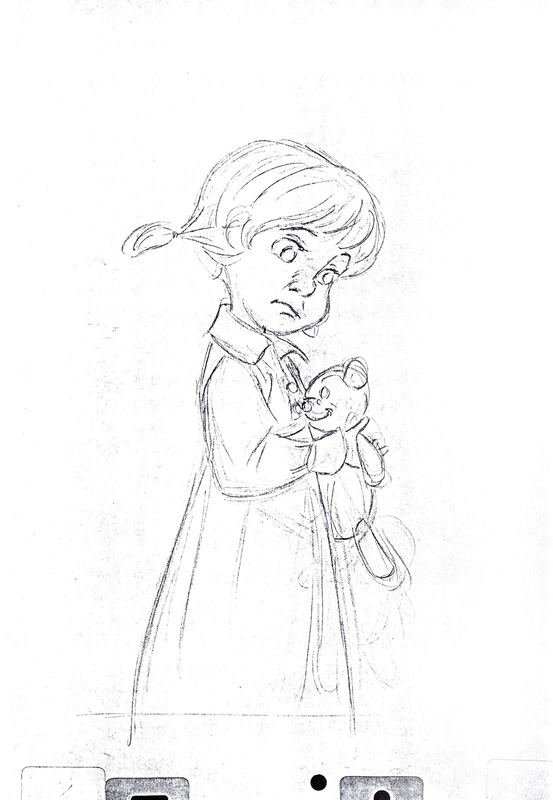 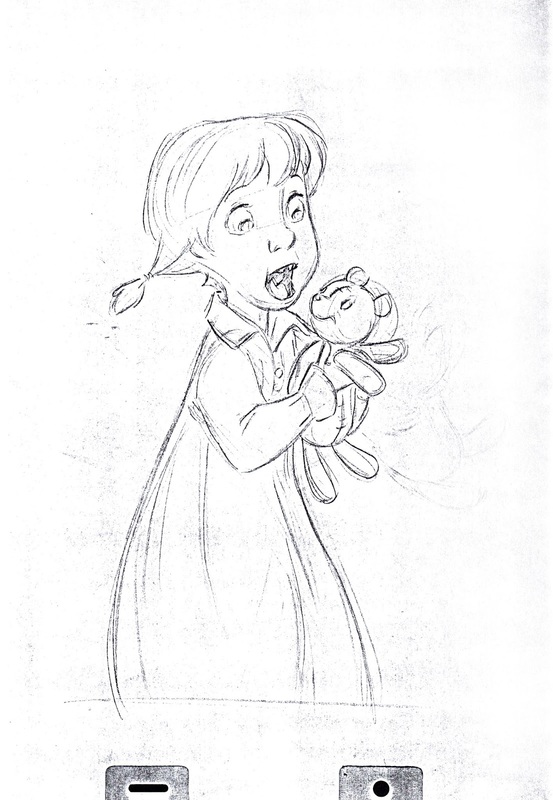 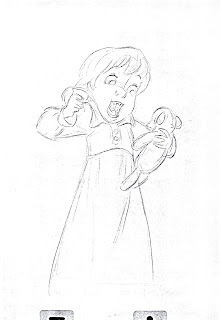 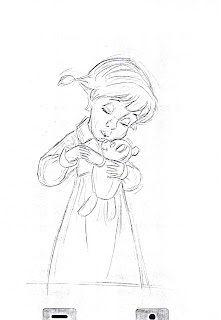 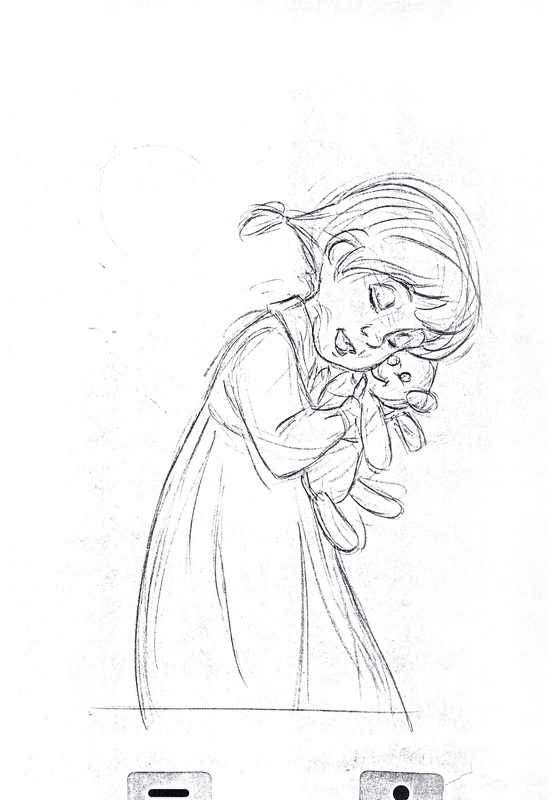 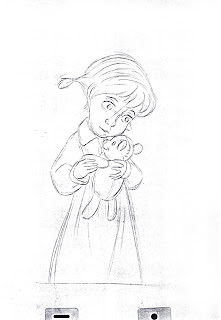 Ollie Johnston animated most of the orphan girl Penny in The Rescuers, but other animators did key acting scenes as well, including Milt Kahl and John Pomeroy. 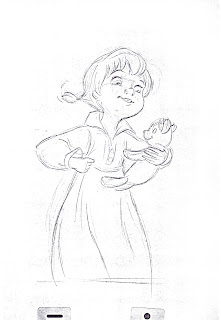 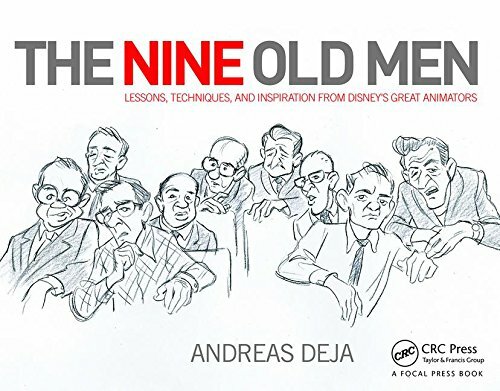 John had joined Disney in 1973 with the intent to do background paintings, but he soon developed a fascination for character animation. 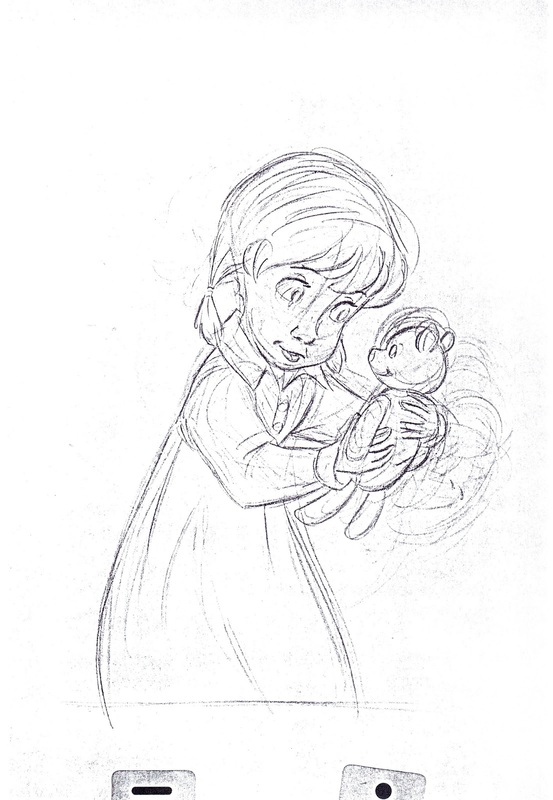 He showed extraordinary talent, so Ollie put him under his wing to be part of the Penny unit. These are John's drawings for a scene in which the girl has just met the mice Bernard and Bianca.They had found her bottle with a note for help. 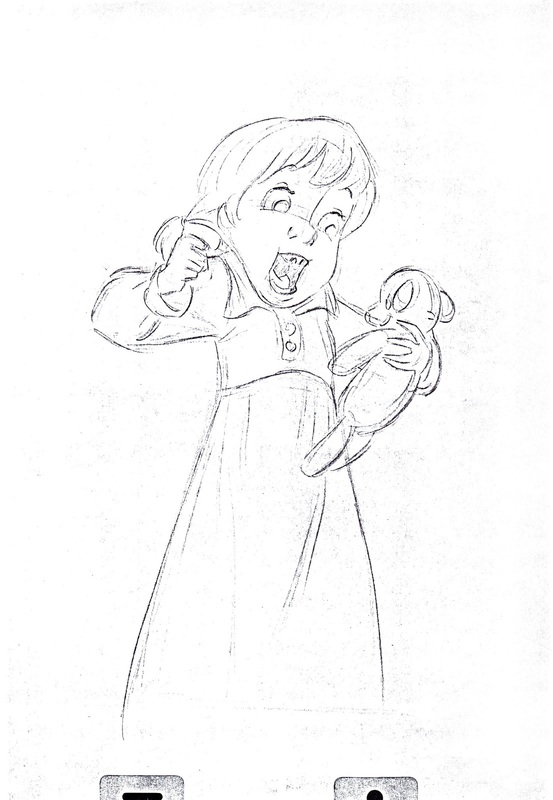 "Did you hear that, Teddy, our bottle worked! (Pause) Didn't you bring someone big with you (like the police)?" 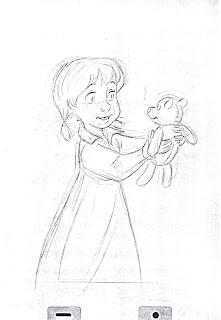 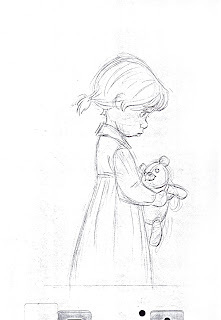 There is a nice sensitive quality in these sketches that reveal strong insight into Penny's personality. 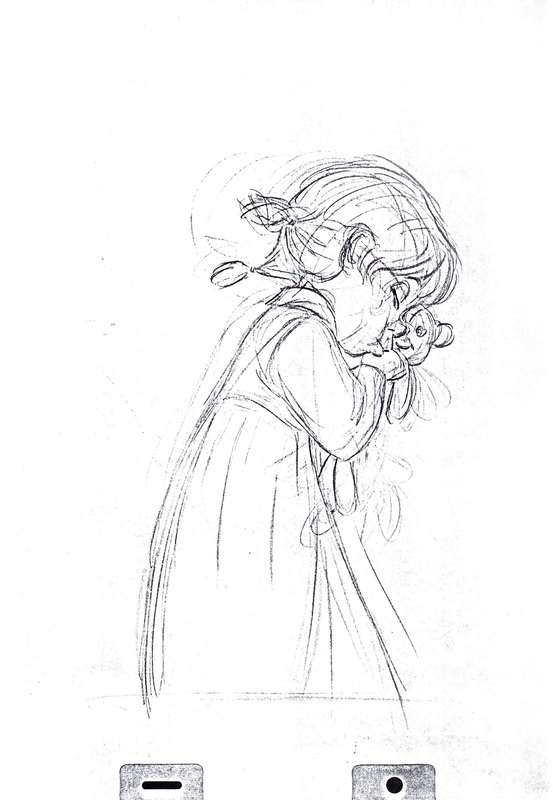 The change of mood from initial excitement to being somewhat confused is beautifully portrayed.